A New You is a full service health and wellbeing clinic. Established in 2003 and based in Kilkenny, we provide a wide range of medical treatments to men and women of all ages. From endermologie (cellulite removal) and laser (e.g. hair removal) to anti wrinkle injections and non-surgical facelifts, we change people’s lives for the better. 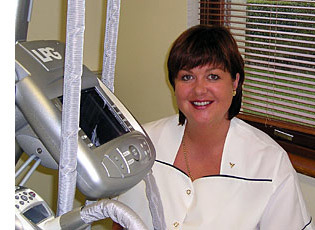 Treatments are provided by Helen Fogarty, a very experienced and highly qualified cosmetic nurse. Having worked at home and abroad for over 20 years, Helen is also fully qualified in general, psychiatric and emergency nursing, allowing her to offer a more rounded and complete service to her many clients. As important as her professional experience, it is Helen’s personal approach that her clients most appreciate. Nothing is rushed. Everything is explained. People are treated with dignity and respect. There is full privacy and confidentiality throughout. Clients are encouraged to relax and enjoy the experience. The results are worth it!